Whether you are interested in making a donation, sponsoring a specific item or project, or whether you are interested in the work of the Board of Trustees or perhaps more details of the village, how to get there and when, your questions will be answered here. If there is something else you would like to ask then please Get In Touch. Where & what is Lintha Village? 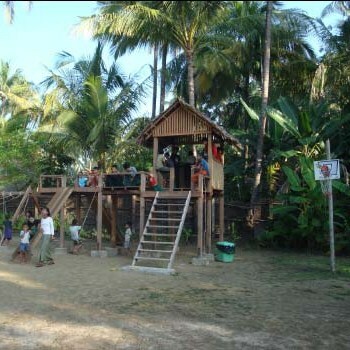 Lintha village is situated on the coastline of the Bay of Bengal in the Rakhine State of Myanmar (Burma). 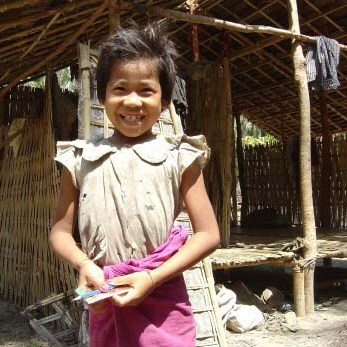 Despite well publicised recent political change in Myanmar, very little has changed for the people of the village who remain poor with minimal healthcare, limited state education, and inadequate diet. Recent political diificulties in the Rakhine State has exacerbated their problems. What is the Andrew Clark Trust? The Trust, although registered in the UK is supported by people around the world including the UK, USA, Australia, and many European countries. It is also supported by the Brook Trust of the UK and the Joris Foundation in the Netherlands. The aim of the trust is to provide support to the people of the area in every way possible. Can I visit the School and Lintha Village? Yes you'll be most welcome! Many people who visit Myanmar end their trip on the magnificent Ngapali beach and Lintha village is easily reached by taxi, local bus, bicycle or even on foot. You will find details on this website. In many ways! If you have a special skill to offer especially in teaching English as a foreign language (TEFAL) it may be possible to stay and offer your time. Email us for more information. Financial help is always needed and if you'd like to help there are links throughout the website on how. Alternatively email us. You can help by a simple one off donation, regular payments, by sponsoring a child, or helping current healthcare projects. Your kindness is always greatly appreciated and ALL money donated goes to where it's needed NONE is used for administration. Can I keep in touch? ​Most certainly! The trustees would like to feel all those who have helped, continue to help, or have visited, to be a part of our "community". To that end we produce regular newsletters, correspond with those who sponsor particular child, and are continuing to evolve further modes of contact and information sharing through social media. ​Do you have plans to expand? 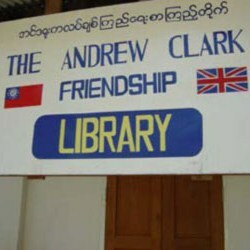 ​While the Andrew Clark Trust have no plans to develop new premises outside the current area, we are working actively in partnership with the Brook Trust who are in the process of developing similar projects in Bagan and Mrauk U.